Bei unserer ersten Irlandreise treffen wir bei Carrick-on-Shannon (Cora Droma Rúisc - der Felsen am sumpfigen Grat) zum ersten Mal auf den Shannon. Nach dem wir soviel gehört und gelesen hatten, ein fast schon historischer Moment. Eine der wichtigsten Einnahmequellen der Stadt ist die Vermietung von Booten und alles was zu Ferien auf dem Hausboot gehört. Und so ist das Bild des Flusses hier auch stark von Booten geprägt. 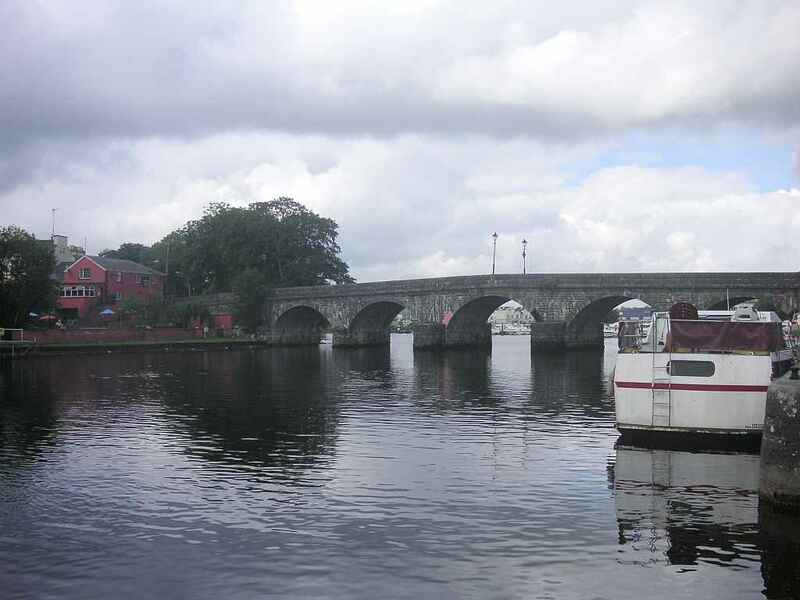 During our first trip to Ireland we cross the Shannon in Carrick-on-Shannon (Cora Droma Rúisc - the rock of the marshy ridge) for the first time. After all we have heard and read about it, an almost historical moment. One of the most important sources of income for the town is the hiring of boats and everything belonging to vacation on a cabin cruiser. And the view of the river is strongly determined by boats, too.